Join us at Goodwood Brewing for our Cabin Fever Reliever! This year we are raising money for some projects at Waverly park… more rollers, berms, and jumps! 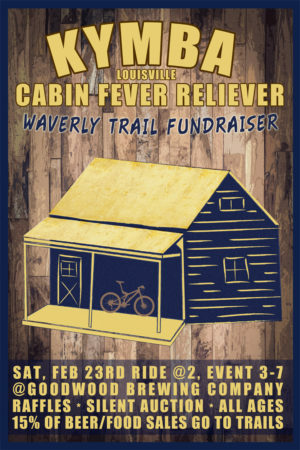 We have a group ride at 2 (trails if rideable, urban otherwise) Raffle and silent auctions end at 7. 15% of food and beer sales go directly to the club for trail maintenance efforts. This is an all ages event. Posted on January 18, 2019, in News. Bookmark the permalink. Comments Off on CABIN FEVER RELIEVER.